I understand San Francisco Rebels, they cheated with 4th and 5th graders all last year. However, what happened to the Cavs? How do they go from being #1 to not being ranked at all? Please REMOVE ProSkills frOm 5. They do not deserve it. Oakland pal deserves the number 1 spot for beating all the top teams this past month also Beating the sf rebels I’m a bay city basketball parent and just a fan of basketball but I been keeping up with all the latest big tournaments and say I’m impress of Oakland pal!! Rebels Red have beaten almost half of the teams on the elite 25 .Including CBC , Cavs in Anaheim , and the Sac Pathers to mention a few. Supwit it ??? No love @ all though ?? Wow. How is it that ProSkills is not even ranked in the Gold division? There are several teams in Gold division that PS has never lost to & have played several times this past year. Not to mention, they have defeated 2 of the Elite teams that are ranked. Where’s the love? Rotary Style Blue in Washington is ranked way too low. Easily a top 3 team. Beat Academy of future Ballers, ARC and Utah Elite. Was beating Cavs by 17 with under 7 minutes to play and lost in overtime because of poor coaching. Just wanted to know how you have City Ballers ranked ahead of Dune Citi at #17 when Dune City beat City Ballers by 20 in the Fab 48 Tournament in Law Vegas two weeks ago. I was also wondering how Inland Empire is ranked 10th behind Cavs, Utah Elite and Oakland when they be them in the Coke Classic tournament. Can you answer these two questions for me please ? If this was recently updated rankings, where did you based your review? SD Republic doesn’t have 4th grade team. 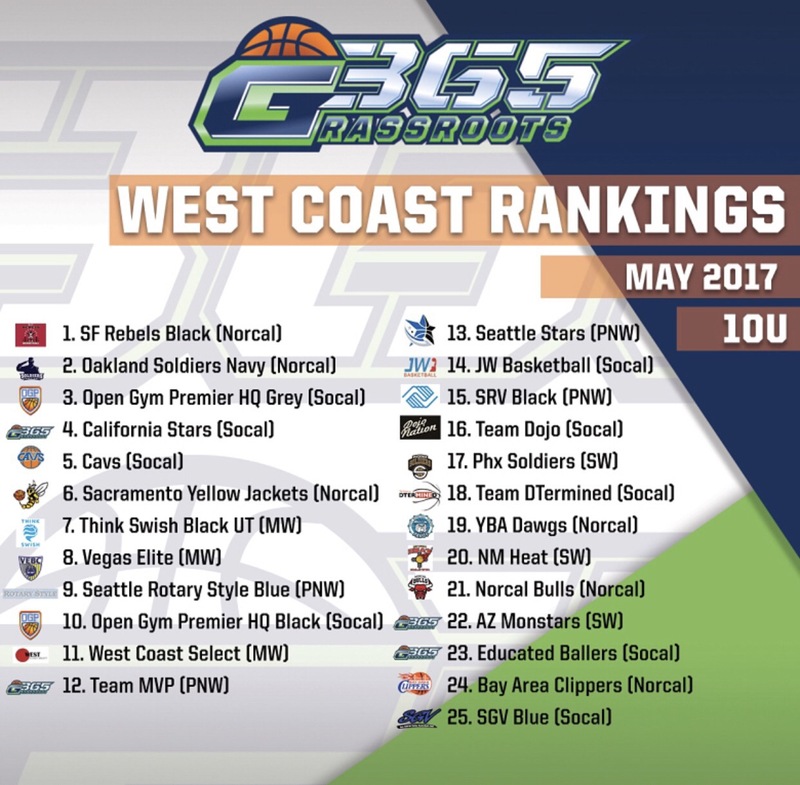 When are you going to update 4th grade ranking from Portland? 2 goals elite(Oregon)beat Seattle rotary so you guys should really pay attention to who you guys rank and who you don’t.